University of Tokyo Hospital, Tokyo Japan. Many people feel music affects human, which means we feel activated or inspired when we hear music tailored to our feelings. This effect has been the basis of music therapy. However, no scientifically systematic approach for investigating the effects of music on human health has been proposed, although a set of analytic methods or apparatuses for evaluating human responses to music has been described. Herein is a new book entitled Systematic Approach Elucidating Effects of Music on Human Health: Trinity of Medicine, Musicology, and Engineering, which states and proposes a new systemic approach to elucidate effects of music on human health. This book proposes a concept that supposes humans as a black box and tries to elucidate its behaviors by analyzing the input and output from the black box: the input is music, while output is human reactions. This book then describes two aspects of input analysis that are musicology and engineering, and two aspects of output analysis that are medicine and engineering. After stating the analysis method in detail, this book shows integration processes of these analysis aspects, presenting three research examples. These research examples are Effects of Ethnic Music on Elderly Dementia Patients, the Effect of Music upon Awakening from a Nap, and the Effect of Music on Biological Responses during Sports Activities. Though these research examples may look to focus on different research subjects, a single and robust systemic approach underlies the research. 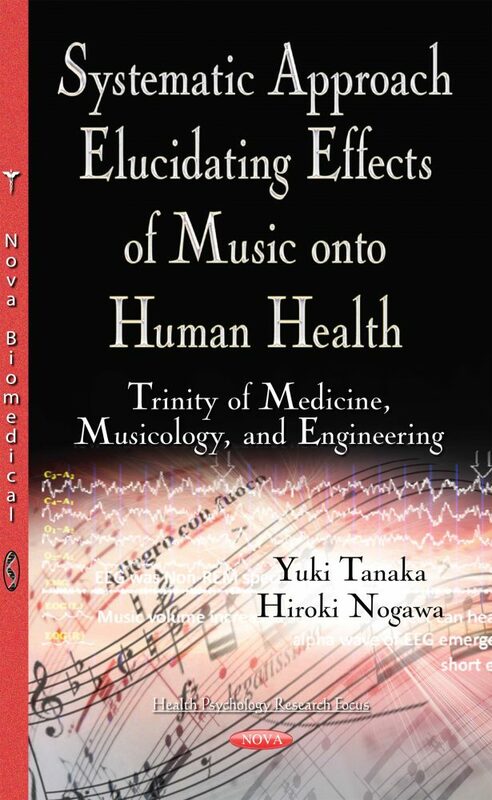 This book is useful for researchers who have interests in studying the effect of music on human health with some knowledge of musicology, engineering, psychology, and neuroscience. This book proposes a firm systemic methodology for them and helps them to perform further studies of their own. Music therapists, music composers, and music artists also may feel interested in this book.